Ring News 24Boxing News Breaking Boxing NewsHow would Sergey Kovalev fair vs. the best of the light heavyweight division? This past Saturday night in Frisco, Texas, we saw one of the best versions of Sergey Kovalev, as the known Russian puncher and two-time former champion returned from a brutal knockout loss to Eleider Alvarez to extract revenge. 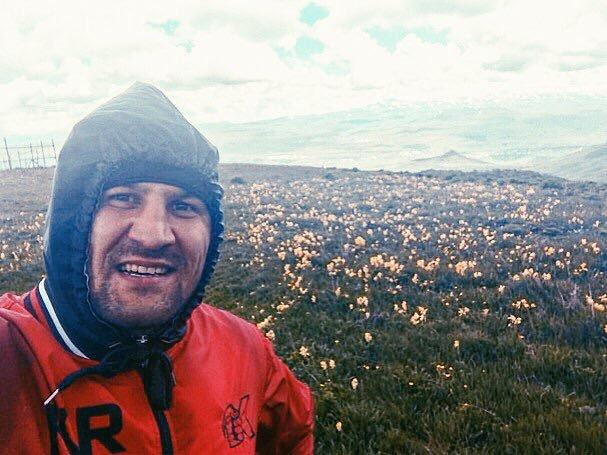 In August, it was Alvarez who delivered a stellar finish, as he came from behind to knock Kovalev down three times on his way towards a seventh round TKO. The finish was swift, efficient, and very brutal. And it also left you wondering exactly how, if at all, Kovalev was going to bounce back from such a defeat. But with a new trainer in former champion James “Buddy” McGirt in his corner, the audiences on ESPN+ saw Kovalev turn the tables by boxing his way towards a victory as he tagged Alvarez with lead and counter shots and out landed him at a heavy rate. Scorecards read 120-108 and 116-112 (x2) for Alvarez. So where do we go from here? Alvarez is soon to be 36 years old but certainly has to be looked at as one of the top dogs at 175 pounds. He might even be the favorite over nearly everyone in the division. Alvarez called for unification fights following his victory, and here are some matchups that stand out. WBA light heavyweight champion Dmitry Bivol is one of the rising forces at light heavyweight, and for good reason. At 28 years old, with a 15-0 record (11 knockouts), Bivol had a busy 2018 that saw him defeat tough veterans Sullivan Barrera, Issac Chilemba, and Jean Pascal. Bivol has great savvy and a nice punch output, but he looked less dominant each time out, and surely Kovalev would welcome a crack at upsetting the youngster and grabbing his title. First, Bivol must get past contender Joe Smith Jr., who he faces on March 9. Beterbiev has dynamite in his fists, as evidenced by 13 knockouts in his 13 victories, against zero defeats. Beterbiev is 34 years old now, so he has no time to waste and a Kovalev showdown makes sense sooner than later. Beterbiev did get in trouble in his last fight, as he was dropped by Callum Johnson before rising to score a knockout shortly thereafter, and you have to wonder how he would deal with Kovalev’s incoming. Gvozdyk is coming off of an 11th round TKO over longtime champion Adonis Stevenson on December 2nd, a fight that stamped his arrival to the division as well as giving him the WBC title. Gvozdyk has nice boxing skills and enough power to keep people honest. And at 31 years old he appears to be very young for his age, as he hasn’t been through many wars. Him vs. Kovalev would be a fascinating matchup, like a cat and mouse type of chess match. First though, Gvozdyk will be making a first defense of his belt on March 30th, possibly in Philadelphia. Browne is like a dark horse in the division, but one of the most gifted fighters at 175 pounds. On January 19th he produced his biggest victory by winning a wide unanimous decision over two-division champion Badou Jack. Browne’s boxing IG, athletic ability, and awkward style would give anyone trouble. But Browne is with Al Haymon’s Premier Boxing Champions banner, so not sure how realistic it is we would see him vs. Kovalev.